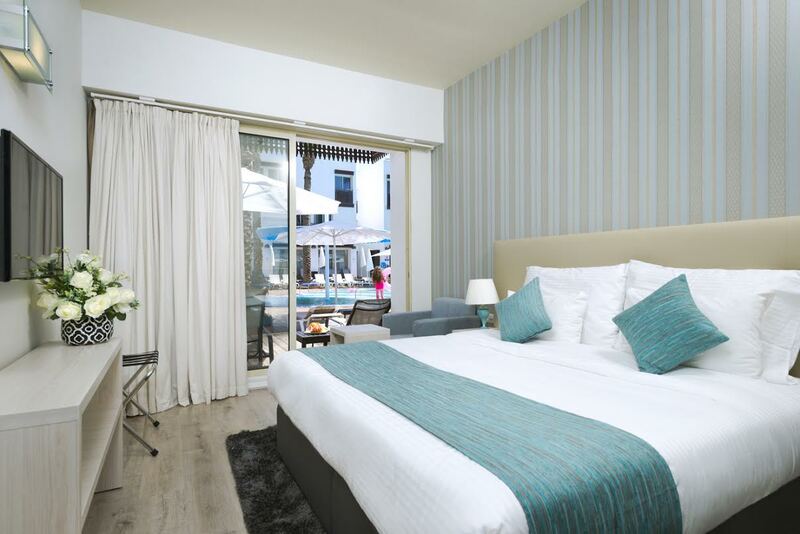 La Playa Plus has recently undergone thorough renovations in early 2016, both in the hotel’s rooms and public areas. The hotel offers a unique holiday experience where guests can enjoy a pleasant comfortable break whilst enjoying quality high standard service. 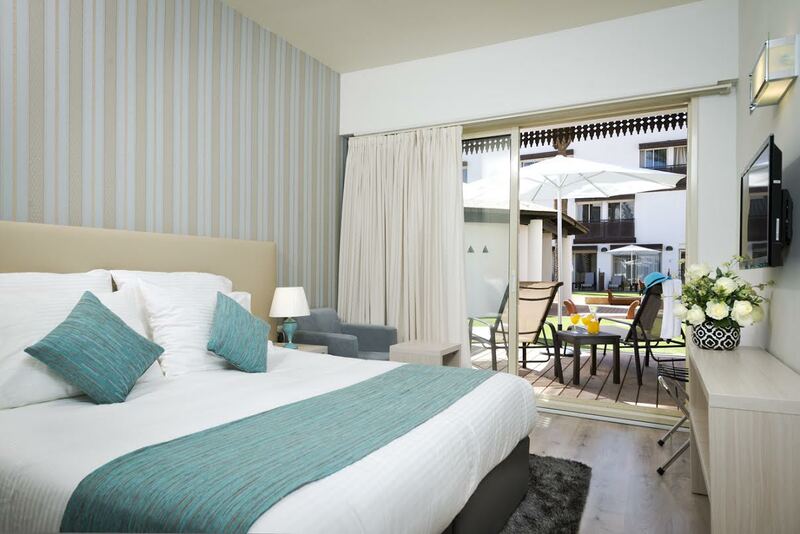 La Playa Plus has a superb swimming pool, located between both room wings, with a tranquil atmosphere. The hotel serves buffet style breakfasts and dinners that include a variety and varied cuisine. Guests are invited to dine at the Lobby and Pool restaurant that both serve a range of fresh light meals and snacks. Accommodation is suitable for couples, families and groups. The credit card will be charged on arrival. Standard Season: 1. Cancellation of reservation up to 7 days prior to the date of hosting - no cancellation fees. 2. Cancellation / change of order between 7 and 2 days prior to the date of the accommodation - 25% cancellation fee of the transaction screen. 3. Cancellation / change / non-arrival booking less than 2 days prior to arrival - 50% cancellation fee for transaction screen. Peak seasons: July, August, holiday and holiday, including Rosh Hashana, Sukkot, Passover, Shavuot and special events. 4. Cancellation of the reservation up to 21 days prior to the date of the stay - no cancellation fees. 5. Cancellation / change of reservation between 21 and 7 days prior to the date of the accommodation - cancellation fee of 100 NIS or 5% lower than the two. 6. Cancellation / change of order between 7 and 2 days prior to the date of the accommodation - 50% cancellation fee of the total transaction. 7. Cancellation / change / non-arrival booking less than 2 days prior to arrival - 75% cancellation fee for transaction screen. Complex Pool View RoomStandard pool view rooms equipped and decorated with new furniture including a double bed, a single sofa (bed), shower, mini fridge, coffee maker, personal safe, LCD TV with HOT TV channels and standing balcony overlooking the pool. Maximum capacity: 2 adults / 2 adults + 2 children / 2 adults + 2 children + 1 baby / 2 adults + 3 children / 2 adults + 3 children + 1 baby / 2 adults + 4 children. Complex Room2 standard rooms with a connecting door, equipped and decorated with new furniture including a double bed, a single sofa (bed), shower, mini fridge, coffee maker, personal safe, LCD TV with HOT TV channels, and standing balcony. Maximum capacity: 2 adults / 2 adults + 2 children / 2 adults + 2 children + 1 baby / 2 adults + 3 children / 2 adults + 3 children + 1 baby / 2 adults + 4 children. Terrace Room – Pool AccessGround Floor rooms equipped and decorated with new furniture including double bed, shower, mini fridge, coffee maker, personal safe, LCD TV with HOT TV channels. Pool access. Maximum occupancy: 2 Adults. 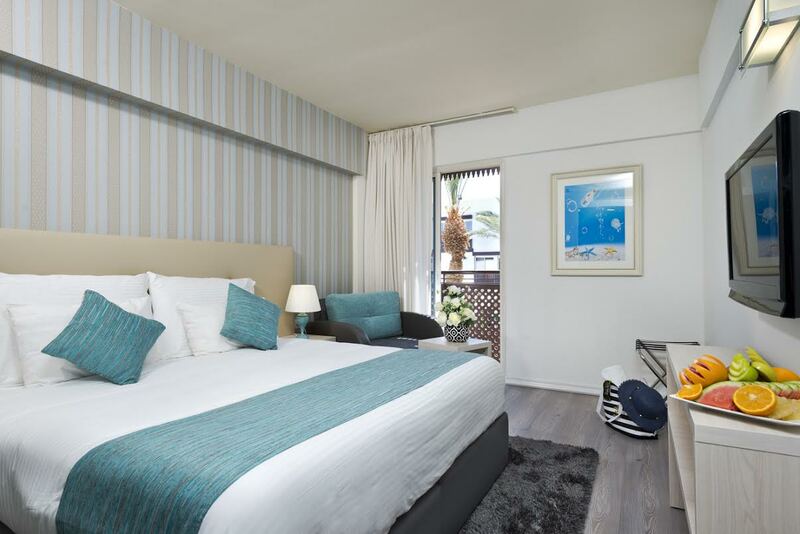 Terrace Balcony Room – Pool AccessGround floor rooms with a balcony, fully equipped and decorated with new furniture including double bed, shower, mini fridge, coffee maker, personal safe, LCD TV with HOT TV channels. Pool access and private terrace. Maximum occupancy: 2 adults. Standard Pool View RoomStandard pool view rooms are equipped and decorated with new furniture including a double bed, a single sofa (bed), shower, mini fridge, coffee maker, personal safe, LCD TV with HOT TV channels and standing balcony overlooking the pool. Maximum capacity: 2 adults / 2 adults + 1 child / 2 adults + 1 baby / 3 adults.